Since 1939 Rayburn Music has been tending to the needs of musicians & educators, offering customers the finest quality musical instruments and accessories at competitive prices. Rayburn Music also has the finest selection of hard-to-find vintage and previously owned instruments. Our company is staffed with professional musicians and educators who can help you with your purchases, rentals or repairs. If you’re just starting out, we're the perfect place for you! Rayburn has a complete set of string, wind and brass instruments. Get started with your school or rental now. We work closely with local Music Directors to offer preferred instruments. Our exclusive loss, damage and theft (LDT) protection is included. 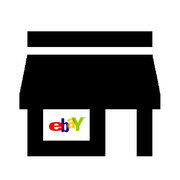 Did You Know Rayburn Has An eBay Store?